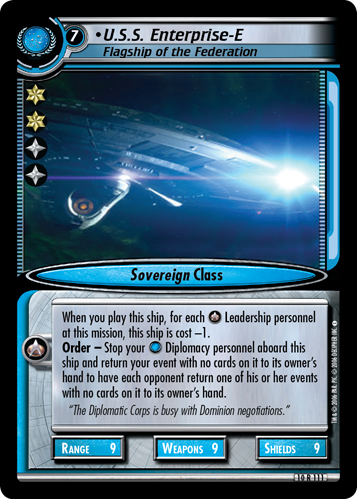 When you play this ship, for each Leadership personnel at this mission, this ship is cost -1. 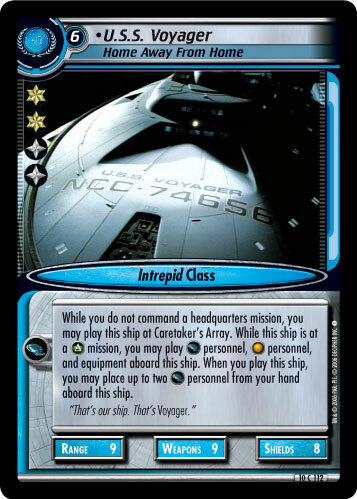 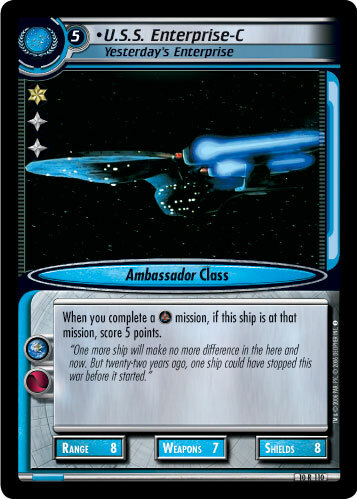 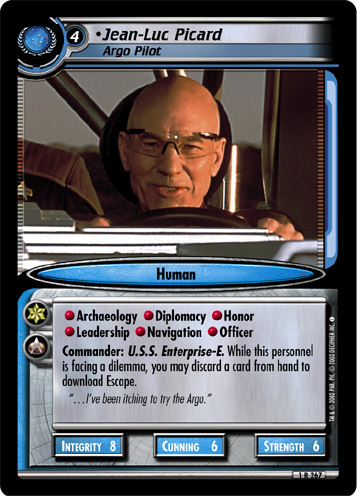 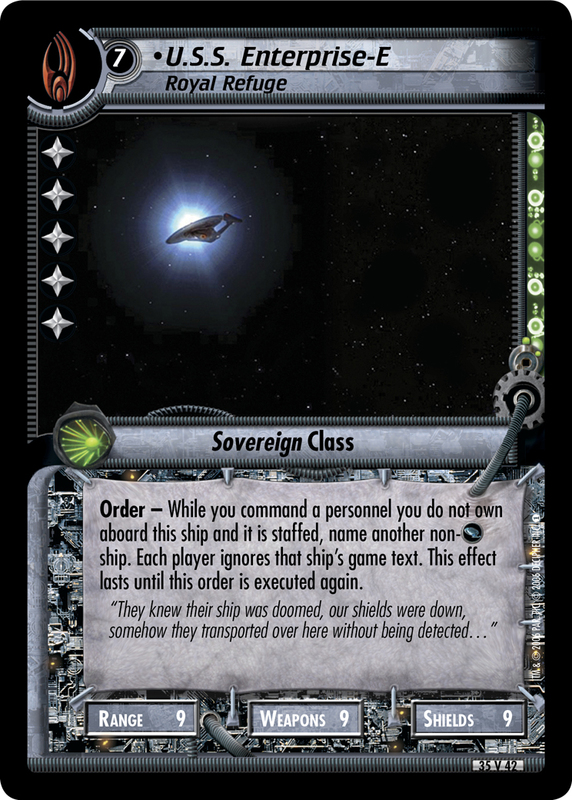 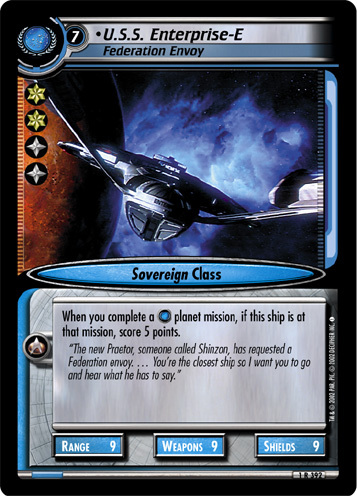 Order - Stop your Diplomacy personnel aboard this ship and return your event with no cards on it to its owner's hand to have each opponent return one of his or her events with no cards on it to its owner's hand. 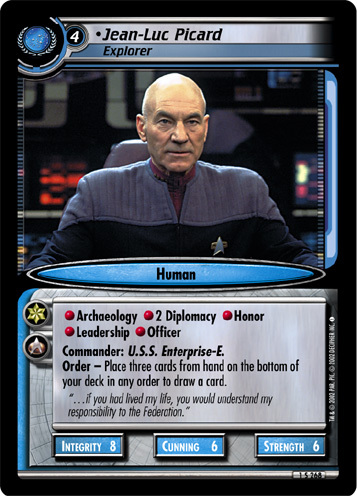 "The Diplomatic Corps is busy with Dominion negotiations."